"Be an Inspiration. 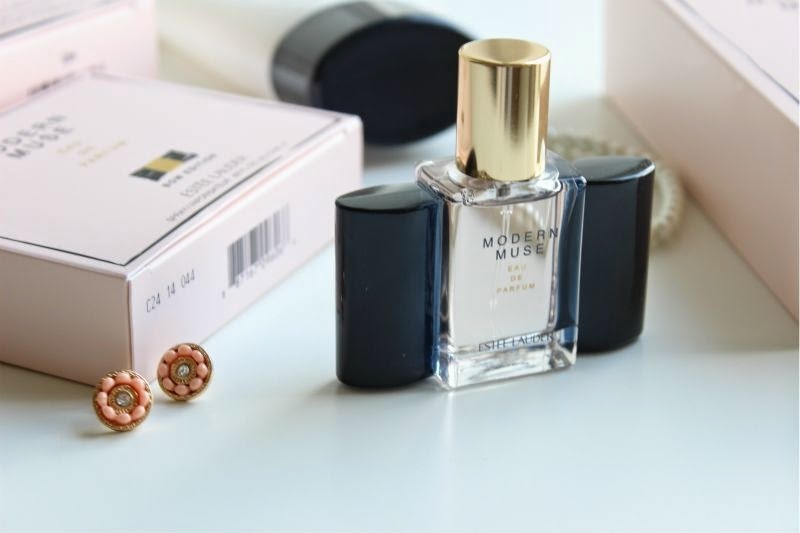 Experience the fragrance that captures your style, your confidence, your creative spirit in a collectible Eau de Parfum Spray. Petite enough to go around town or around the world. An alluring contrast of sparkling florals and sleek, sensual woods." Sparkling Jasmine Accord: This has been added to capture the creative energy and magnetic femininity of a modern woman - a city slicker if you will. Jasmine Sambac with dewy Citrus Fruits combine to achieve a multi-faceted essence that is both floral and somewhat fruity. Sleek Woods Accord: Sleek, style, strength and sensuality are some expressions thrown around when describing this unique treatment of two Patchouli essences which have been wrapped in the creaminess of Madagascar Vanilla, rich Amber Wood and soft Musk. It goes without saying that this is of course the woody accord. 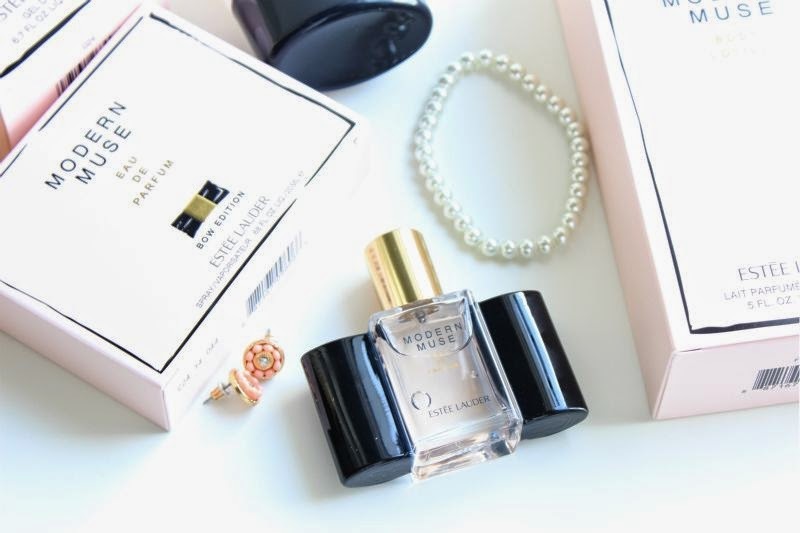 Estee Lauder Modern Muse Bow Edition Eau de Parfum will be available on all Estee Lauder counters for a limited time only and can currently be found online via Debenhams here.